Vector portrait of a sumo fighter. Cartoon layout with a chubby man wearing a mawashi. Smiling peaceful rikishi character with hair put in a traditional bun. Free vector design for cartoon characters, brand mascots and adverts designs. 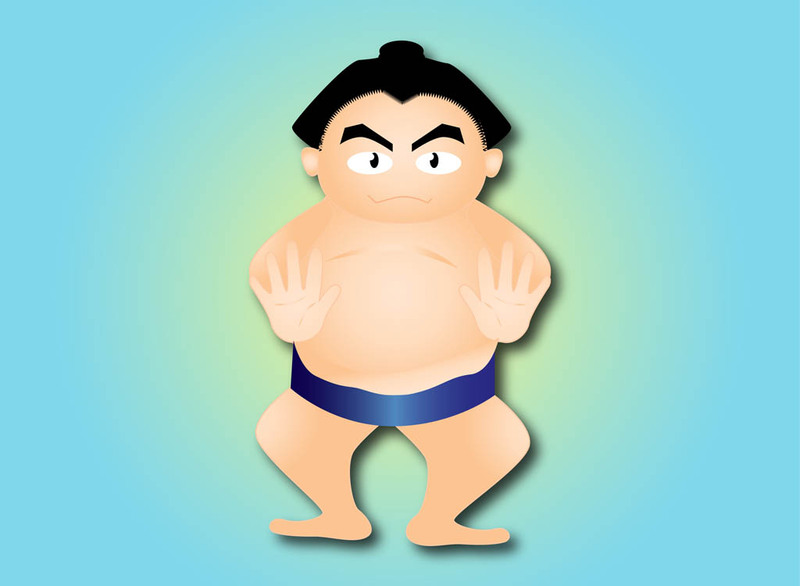 Sumo design for Japan and wrestling sports designs. Tags: Cartoon, Character, Japan, Japanese, Mascot, Mawashi, Rikishi.